part Horse Requisites Newmarket Ltd.
Wallis & Son (Nkt) Ltd.
A short life history of Ernest Clifford Crisswell can be seen on the page for Willoughby House - No.103 High Street, where he lived from the early 1910s up until he died on 23rd July 1934, the location of this house is now the Post Office. Ernest started his cycle business in 1898 at No.61 High Street - Holland House, where he can be seen in the Eastern Counties of England Directory in 1901 and on the Newmarket Street Market Map in 1904. Based upon details shown in the Building Changes section below, Crisswell's Garage opened here in 1907. 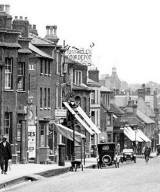 On both the 1902 and 1903 maps of Newmarket the area along here was just five individual houses. The garage replaced two of these, it was custom built and designed by architect John Flatman, the jockey Nat Flatman's son. The building originally occupied No.172-174 High Street - Saffron Cottage / Cross Keys Cottage & Beaufort House, but this was soon expanded and later maps show that it had also taken over next door at No.176 - Chantrey House (note these street numbers are those in use today and were instigated on 12th June 1953). On 5th August 1920 Lady Daphne Rose sold Suffolk House - No.170 High Street, the Real Tennis court behind it, and the old Coach House behind that (facing onto Fitzroy Street) to Ernest Crisswell. 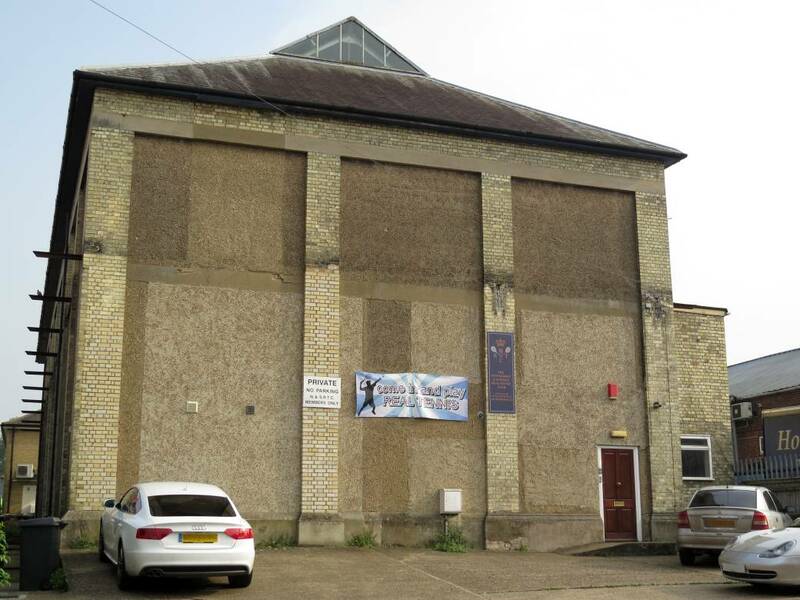 The tennis court became a new workshop for the garage and the Coach House was used as a paintshop, along with living accommodation for employees. The paintshop later extended into all of the ground floor of the Coach House, removing the flats and with the upper floor becoming an untidy storage area. As can be seen in the history details above Suffolk House was still in use as a house between 1925 and 1936 with Sir Richard Christopher Brooke, 9th Baronet (1888-1981) living there. Following this Joe Moore (who worked at the garage and donated the photos below) lived for some time in an upper storey flat in the house, but during WWII he had to move out; as the house was seconded by the army to be used for billeting troops. Following the war two remaining Nissen huts can be seen in the 1947 photo further down below. The house was later used as the spares department for the garage. Following demolition of the Kosy Kinema / swimming baths, the garage extended even further and used the remains of the swimming pool as a scrap yard, gradually filling it up with rubbish over the years. As can be seen in the photo above, originally the section in No.176 was just the front office, but by 1961 they'd put in RSJ's at the partition into Beaufort House and this had now become part of the main showroom. In 1964 the Congregational Church Manse House on Fitzroy Street was demolished, to be later re-built in 1968 as a new workshop and petrol pumps at the rear of the original garage. 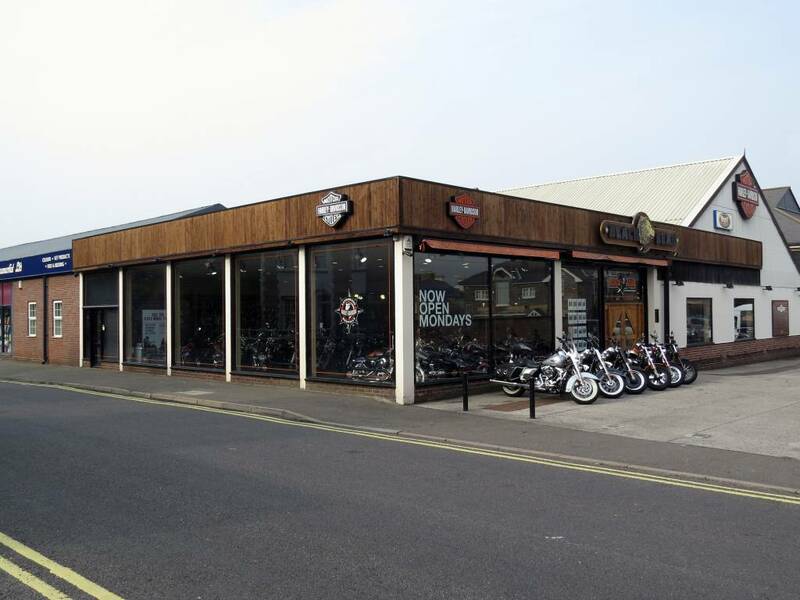 At the same time the front showroom was extended backwards into the old workshop. - in the gap between the Real Tennis court and the paintshop was a 'tuck shop' that used to sell snack bars, chocolate etc. Crisswell's Garage (1944) Ltd. was incorporated on 4th February 1944 as a partnership between Ernest's widow Mrs. Ethel Crisswell and Percy Valentine Wallis, uncle to the famous aviator and Gyrocopter designer, Wing Commander Kenneth Horatio Wallis. 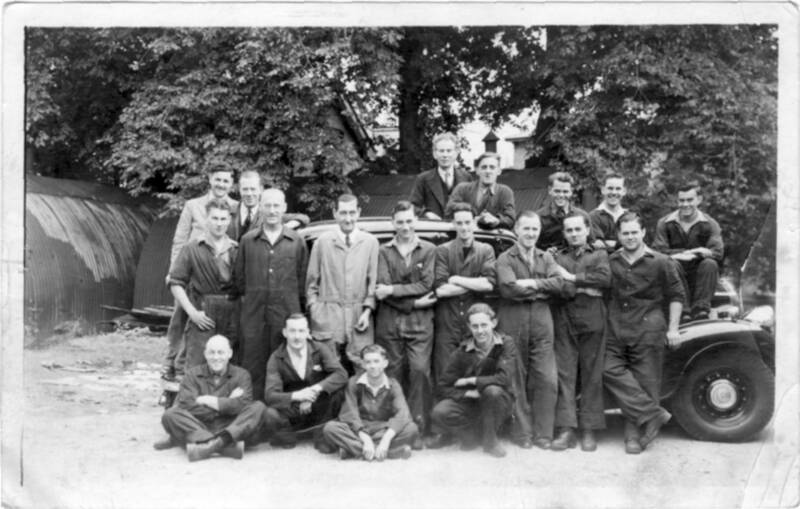 Percy's son Geoff took over the business in 1947, after graduating from Chelsea Automobile & Aeronautical Engineering College and completing his military service. 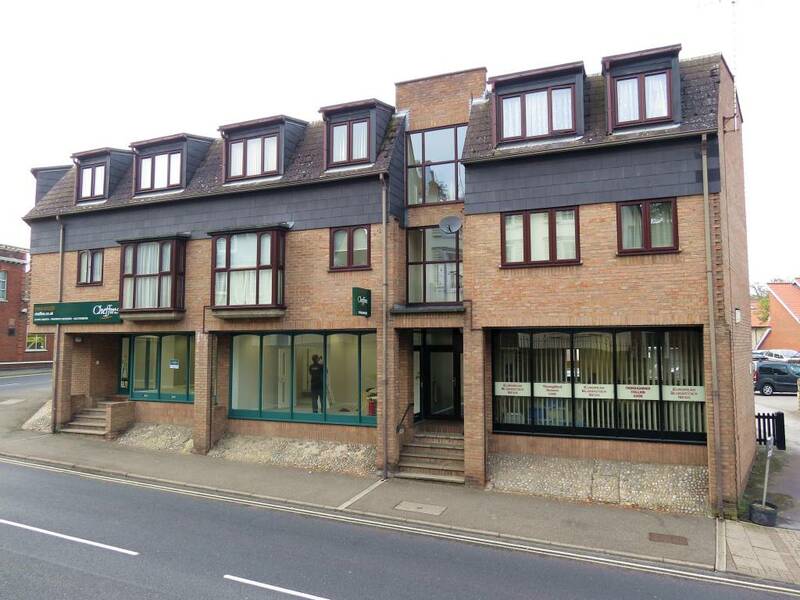 In the 1960s he oversaw the company’s move to Mitchams Corner in Cambridge, later leaving his oldest son Robert to look after the Newmarket business. Robert Wallis died at the very young age of 22 in 1973 and as Geoff was concentrating on the business in Cambridge Crisswell's Garage in Newmarket was closed, to be later re-opened on the same site here in around 1974 as Wallis. In trading terms the name Crisswell's Garage (1944) Ltd. was dissolved on 31st December 1977 to be replaced by Wallis & Son (Nkt) Ltd. The garage finally closed in around 1985 and the company ceased trading on 15th December 1992. Geoff's son Nigel and grandson Elliot still run the company business as Wallis & Son Ltd. at Barton near Cambridge. 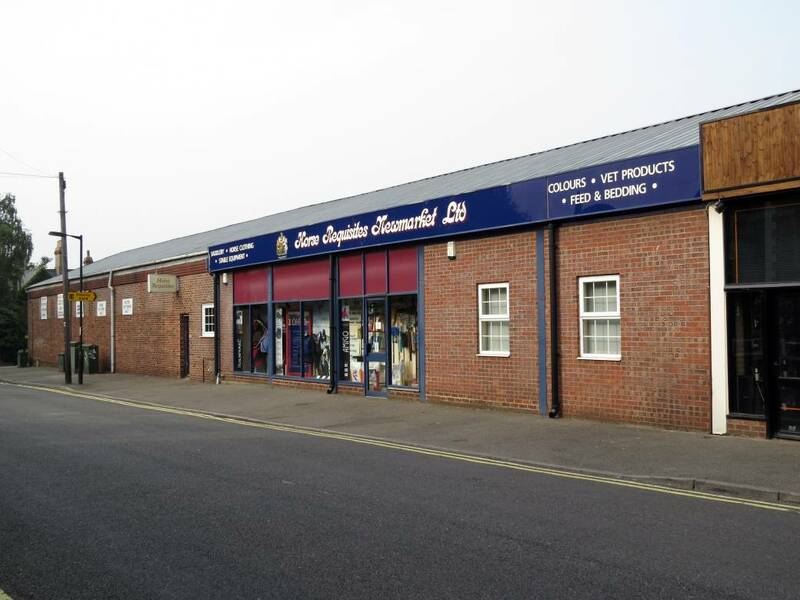 In April 1969 the spares department had moved from Suffolk House into the new workshop, in the section facing onto Black Bear Lane, this area was later refurbished in 1976 to become a new car showroom - this building is one of the few parts of Criswell's Garage that still stands and is now Horse Requisites Newmarket Ltd. Note from webmaster - I can confirm some of these timelines as my Dad worked at the garage, starting there as an apprentice mechanic in 1945. 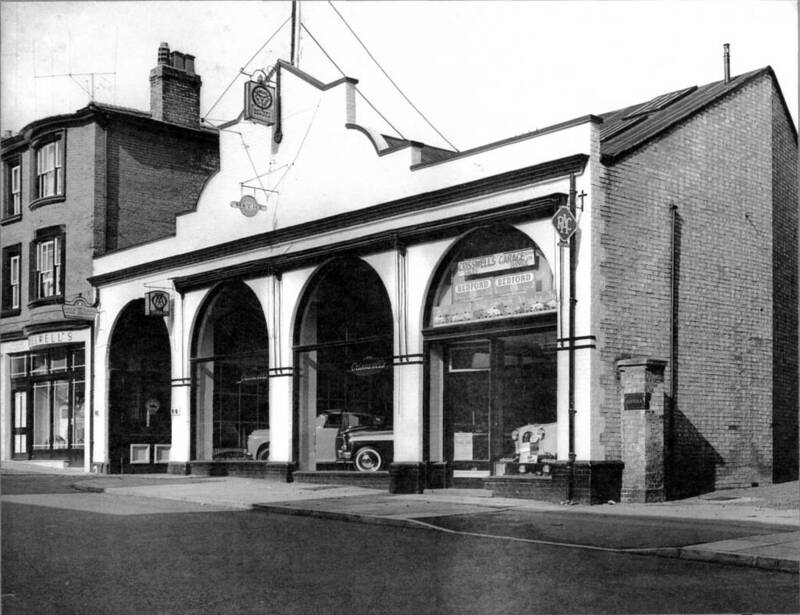 At that time Mr. Dunham (who lived in the Avenue) was the General Manager of the garage (Mrs. Crisswell was looking after the drapery shop in No. 80 High Street). He remembers it being very cold in the workshop and they had make-shift coal braziers alight (made out of old oil drums) to keep them warm. From 1947 until 1949 my Dad did his National Service in the Royal Signals as a Driver Instructor, returning after this to see Mr. Dunham who re-instated him in his original role as a motor mechanic. He stayed working for Crisswell's Garage until 1962, returning in around 1974 to work for the same garage, then known as Wallis. 'Criswells Garage Advertisement 1959' & 'Crisswells c. 1920s'. 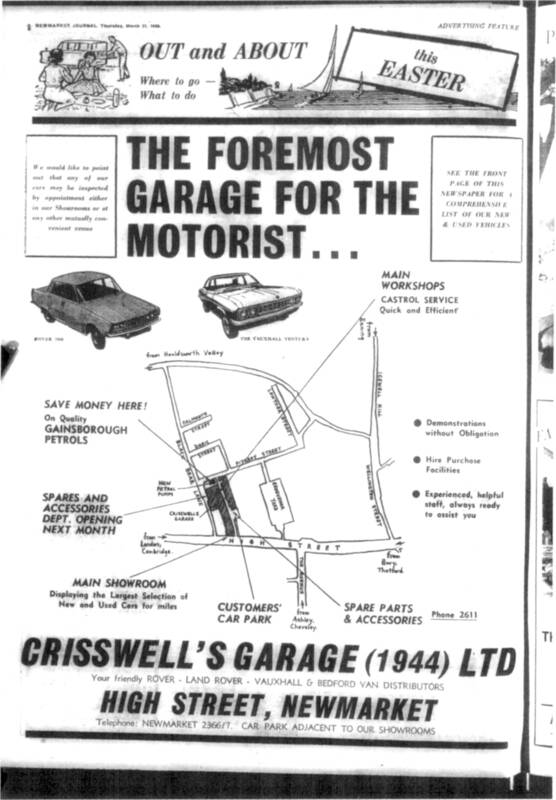 Many thanks to the Newmarket Journal and the Cambridgeshire Collection for the 'Crisswells Garage advert 27th March 1969'.